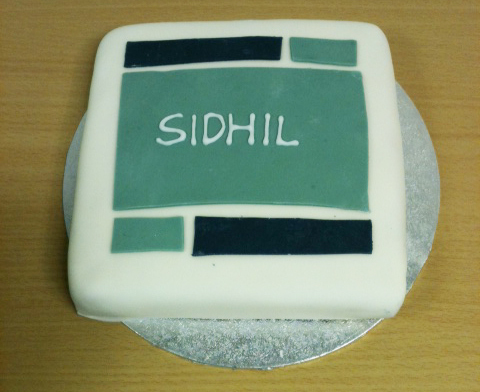 Sidhil News: Let them eat Cake! We all know that when it comes to baking, things don't always turn out the way we'd like them to. Luckily for us at Sidhil, we can leave it to professionals like Teresa Dykes, our North West Territory Sales Manager, who find it's a piece of cake! Here's one of her latest baked creations that she brought in to a meeting for us all to sample. Thanks Teresa!